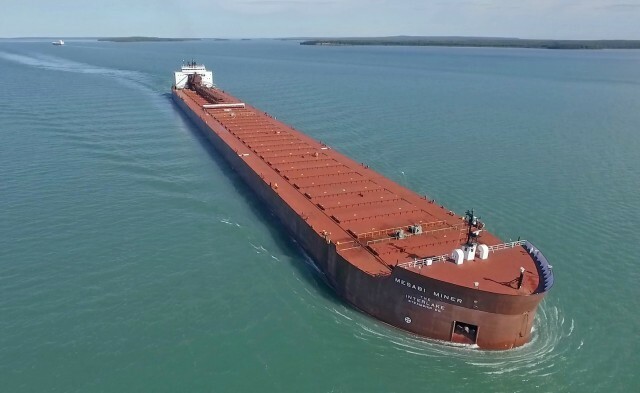 M/V Mesabi Miner was christened in 1977 to honor the men and women of Minnesota’s Mesabi Iron Range. 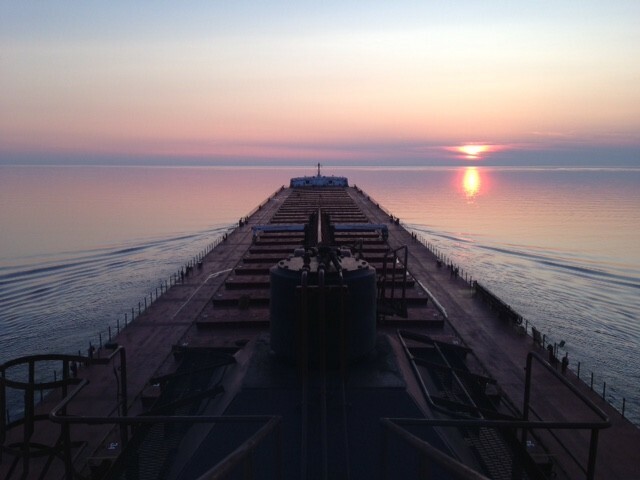 She was built by American Ship Building Company in Lorain, Ohio, and has always been part of the Interlake fleet. Her self-unloading system includes three cargo hold belts and a 265-foot boom. She is the sister ship of the James R. Barker. 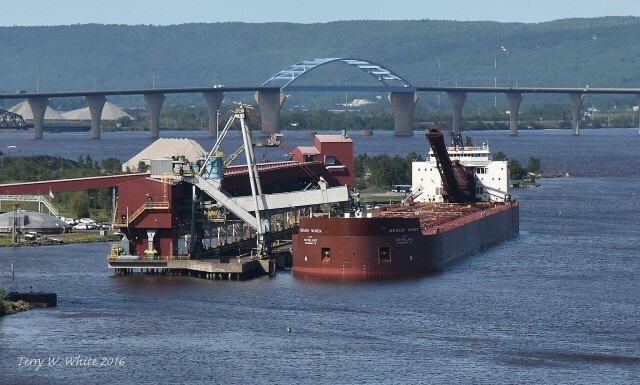 1978, she loaded the first cargo of ore at DM&IR's new loading dock in Two Harbors, Minnesota. 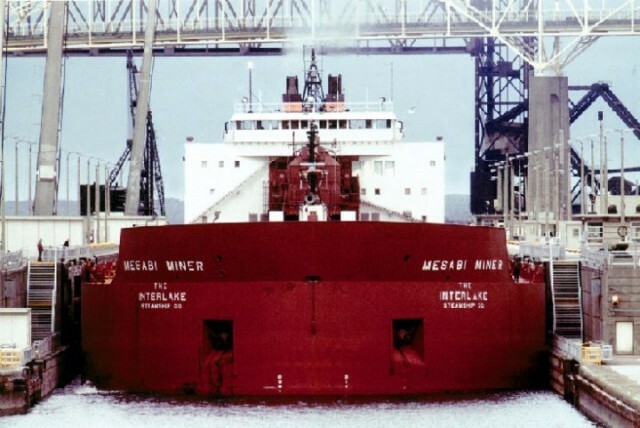 In 1986, she became the first thousand footer to deliver coal in the Saginaw River. 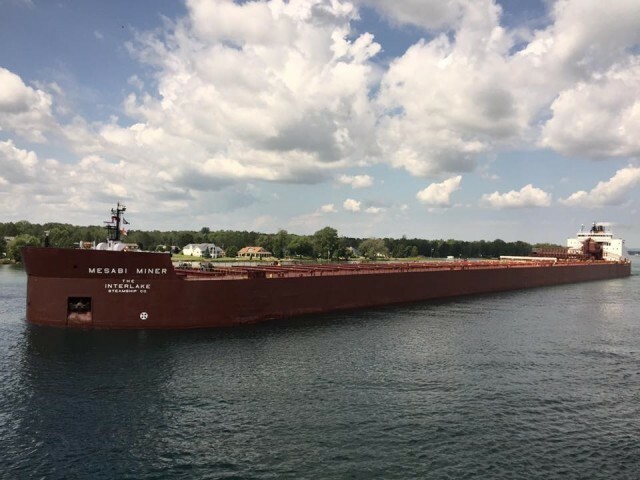 She was the final vessel to arrive for lay-up at the Twin Ports in 2006.